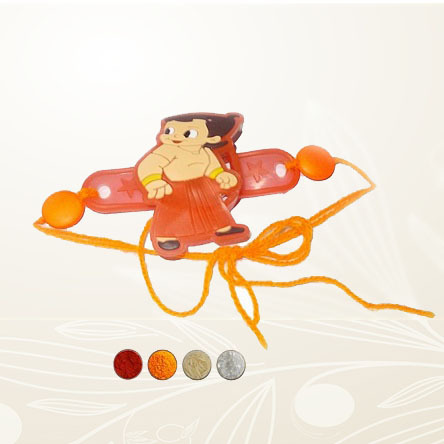 Kids are very fond of cartoons and they love their favorite cartoon characters. 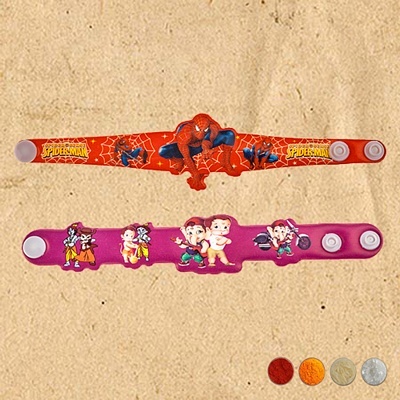 Hence we have come with cute kids rakhis with motifs of cartoon characters like BEN 10, Spiderman, Chhota Bheem, Chhutki, and Angry Birds. 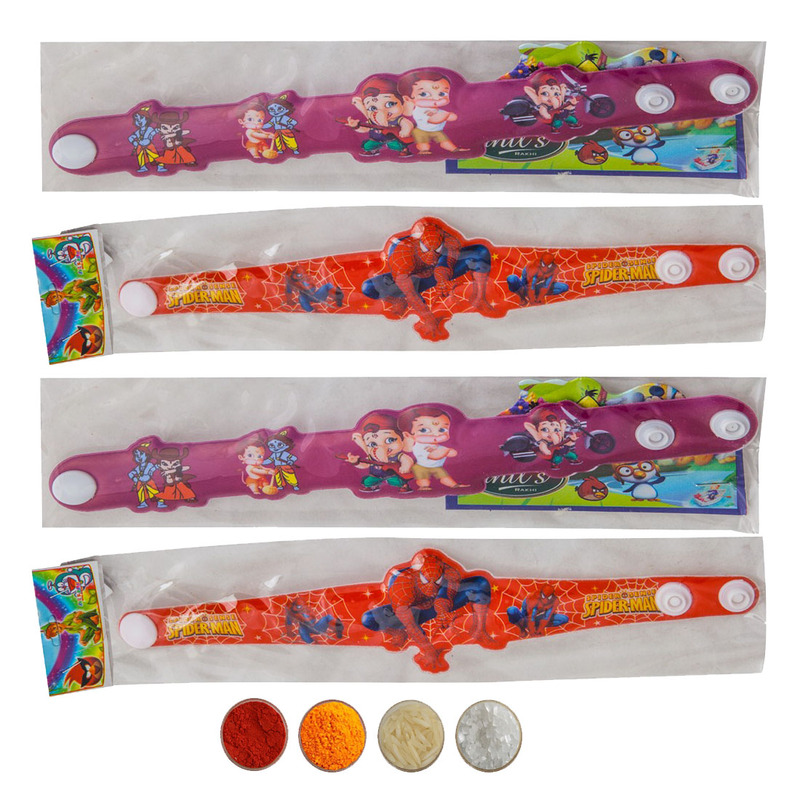 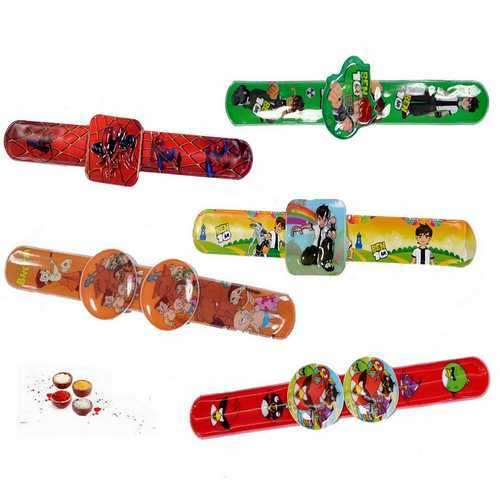 This is a set of 5 cartoon character kids� rakhis which will surely impress and make delighted your Chhotu Bhaiya. 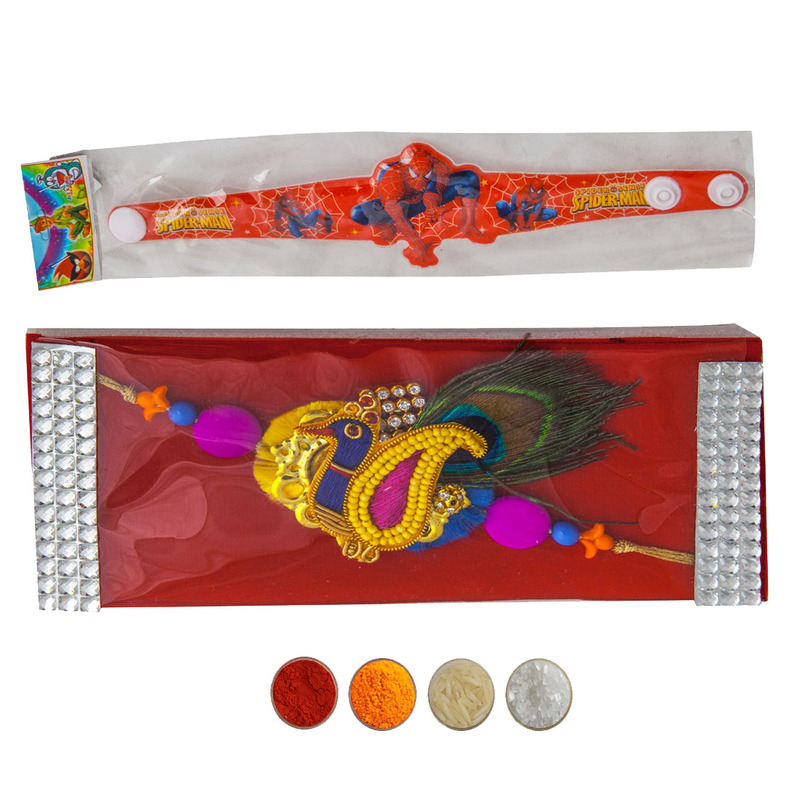 Buy the set of 5 Cute Kids� Rakhis online and send to your loveable cute brothers. 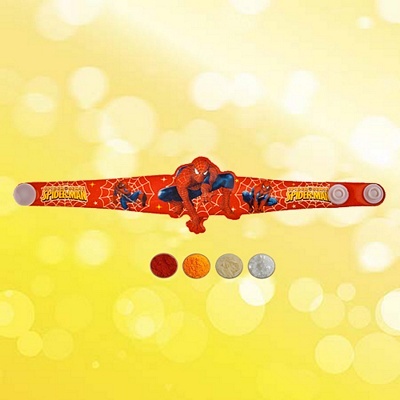 Get this cute rakhi set for kids with free Roli, Chawal, Chandan and Mishri.